Time Lapse Bot has been around since 2009 in various stages of existence. 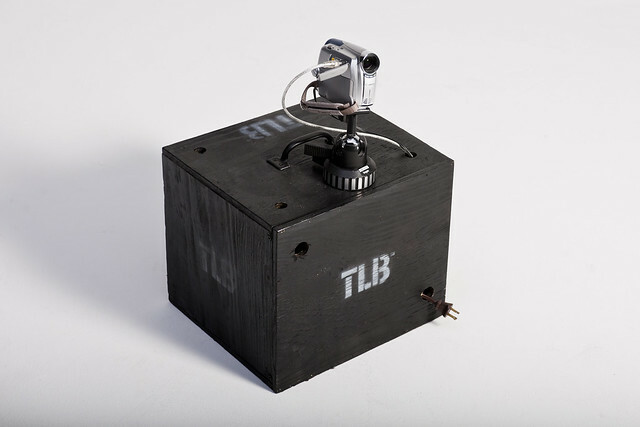 As of 2011 we’re actually up to version 3 of the Time Lapse Bot. Each new version adds something different, usually in the form of upgraded equipment. One of the goals of Time Lapse Bot has been to create a device that can do long time lapses using whatever equipment is on-hand. I’ve never really put much money into the project. I did spend $30 on EvoCam, but most of the hardware was either donated or acquired very cheaply. 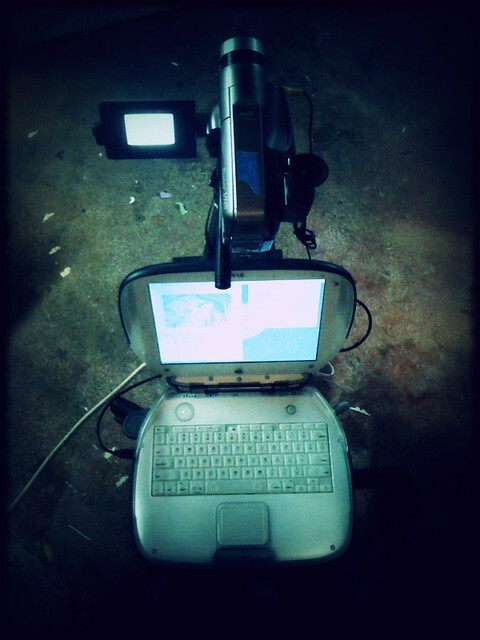 The second incarnation of Time Lapse Bot swapped out the heavy iMac for an iBook I got on craigslist for around $40. One of the issues we had with version 1 was that it had to stay plugged into AC power, otherwise it would shut off, and you’d need to boot it up again, reset the clock, and restart EvoCam. Sadly, since the iBook had a dead battery, we had the same issues. Luckily, the iBook was much lighter than the iMac, so that was a bit of a win in the weight department. Version 2 is still around, as it was an upgrade to Version 1, and was used at BarCampMilwaukee5 alongside Version 3. This brings us to our latest Time Lapse Bot… Version 3. My friend Matt Gauger supplied his old PowerBook G4, which actually has a working battery. This allows us to unplug it from AC power, move it, and plug it in again without having to reboot. We also use a Canon ZR800 MiniDV camera instead of the old VHS camera with the USB digitizer. This allows us to shoot at 720×480 instead of 320×240. 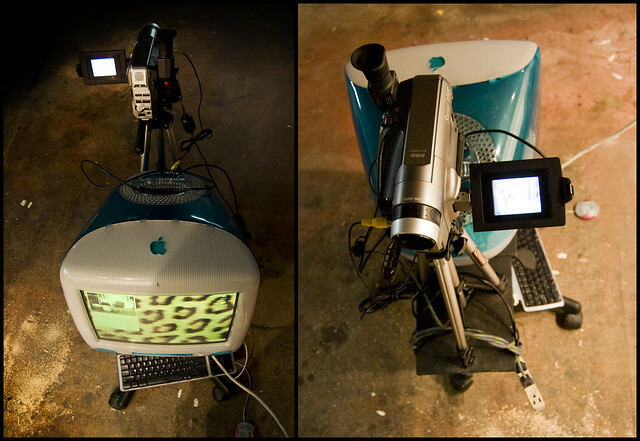 I should note that I’ve preferred real video cameras to webcams because they tend to have better lenses, better low-light performance, real zoom capabilities, and can be easily seen as a “DV Camera” even on older Macs, so no drivers are required. That said, we may be doing some experimentation with a Logitech HD Pro USB Webcam C910 in the future.